The assassin was aware of his regular routine of visiting his mother's grave. Kharkiv businessman Yuriy Dyment has been killed by a series of shots with an assault rifle, according to LB.ua sources. There were 12 gunshot wounds on his torso and two bullets hit the head. An abandoned assault rifle with a flash hider was found in another end of the cemetery. The assassin knew that Dyment had a routine of visiting the grave of his mother who died several years ago. He visited the cemetery every Monday, Wednesday and Friday, mostly in the first half of the day. Dyment did not have any security details and was usually accompanied by his driver. 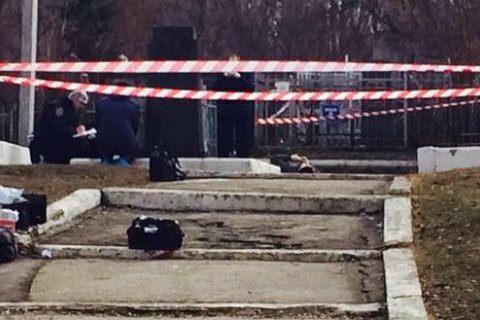 Dyment was shot when he came to the cemetery on Academic Pavlov Street in Kharkiv. Kharkiv mayor Hennadiy Kernes and Dyment were childhood friends. Dyment was the main business proxy and partner of Kernes. He was believed to have a specific reputation in the underworld. Kernes himself survived an attempt on 28 April 2014, but has been limited to a wheelchair ever since. President speaks for government "reboot"